I Fossilized for 80 Million Years for THIS!? ...Not to be confused with the Russian Amber Room, which was destroyed (or hidden, depending on what you believe) many years ago. Hopefully this room, or at least it's pictured contents, will stand up to the test of time. Amber is a wonderful media for both scrimshaw and carving. It's soft enough that the only tools an artist needs are sandpaper, and X-acto blade, and a dremel tool with woodworking and polishing bits! Amber is prized the world over as a natural precious stone. 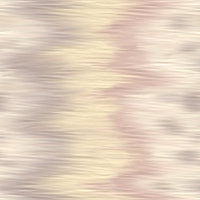 It comes in many colors: clear hues from gold to red to "blue", opaque tones from a pure white to a sweet buttery color to a rich golden red. No two pieces of amber turn out the same. You never know what you might uncover when working with amber rough. I'm still looking for a feather trapped in the clear stone; I've certainly come across enough insects! Since this room needs extensive setup, and I really want to get the Gallery up, I'm putting one image here for you to enjoy. Stop by in a few days to see the rest of the Amber Room! 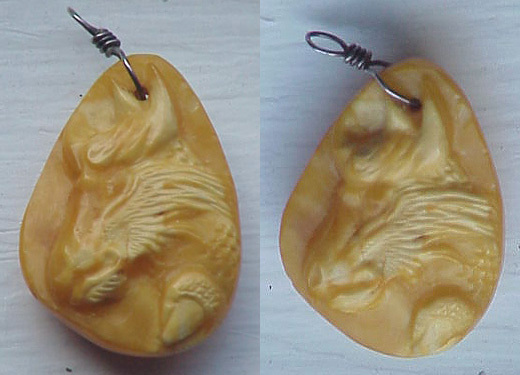 The kirin is one of my earliest amber carvings; my third, I believe. When this was newly carved, all the lighter areas of the amber were almost pure white. Amber oxidizes with time, heat, and exposure to air, so the once newly carved and bright white surfaces have begun to darken in the 7 years or so that this fellow has existed. I'll just say he's acquired some character over the years. All the images in this gallery are my own copyrighted creations. If you see art that you like, or images that you would like to use, please do not download them without getting my permission. If you have any questions, comments, or you'd like to bug me to finish this page, email me.